Wasted Penguinz Shop got different payment methods, it’s possible to pay with iDeal, Visa, MasterCard, Bancontact/MrCash, PayPal and Wire transfer. In the case you’re not happy with the received product or the product does not reach the expectations it is possible to remand your product to Wasted Penguinz Shop. This must be happen within 14 days of the invoice date. We stand ready to assist you in case you want to change the item in another color, design or size. If we can help you with some advice, we will do of course. If you don’t want to remand and you’d like to have a refund or shop-credit, please let us now. Complaints about production errors or failures should be reported immediately after you received your goods. Remands must be exactly the same as you received them. Articles must be unused and must have the original labels and packing. Inside Belgium, Netherlands, Germany and France we’ll not charge any extra costs for any remand. If you ask you’ll get the retour-ticket to send your parcel back. For remands the costumer has to pay the shipping costs for a new consignment. Pay attention: for the remand outside this four countries wil be charged a consolation fee for sending a return label. Incorrect delivery or incomplete deliveries will Wasted Penguinz Shop naturally assume the shipping costs in order to provide the correct delivery. Let us know if there is something lacking in the order or a faulty product is delivered. 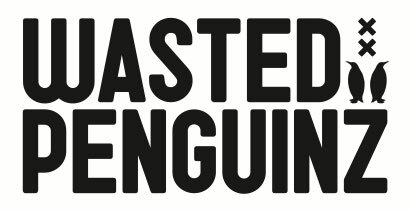 Incorrect entry and related non-delivery and return shipment Wasted Penguinz Shop will not be liable for the costa of re-shipment. In consultation with the customer, a fee will be agreed.